Everything you see on your PC, Smartphone or Tablets, can be viewed on your TV or Projector. Share and sketch your love on the large screen. Kids love it. 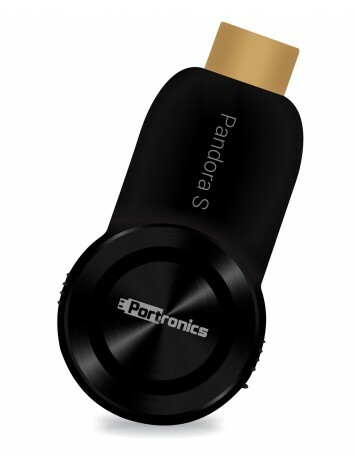 In its endeavour to ever simplify processes; Portronics proudly launches the Pandora S media streaming device that helps you pitch your favourite entertainment straight from your Smartphone or Tablet onto your TV screen. Pandora S is the simplest way you can connect the displays of Televisions, Projectors & Monitors (HDMI enabled) to your Smartphone/ Tablet/ Laptops "wirelessly" & enjoy your favourite content on the big screen. 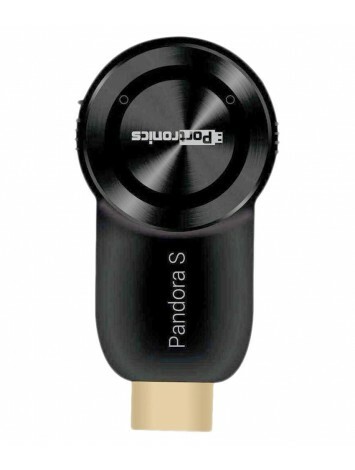 Pandora S makes your phone your personal remote. Use it to project your small screen on your Big TV or Projector and use it to search, browse, play & control what you view. Pandora S is a comfortable "Plug-n-Play" device. 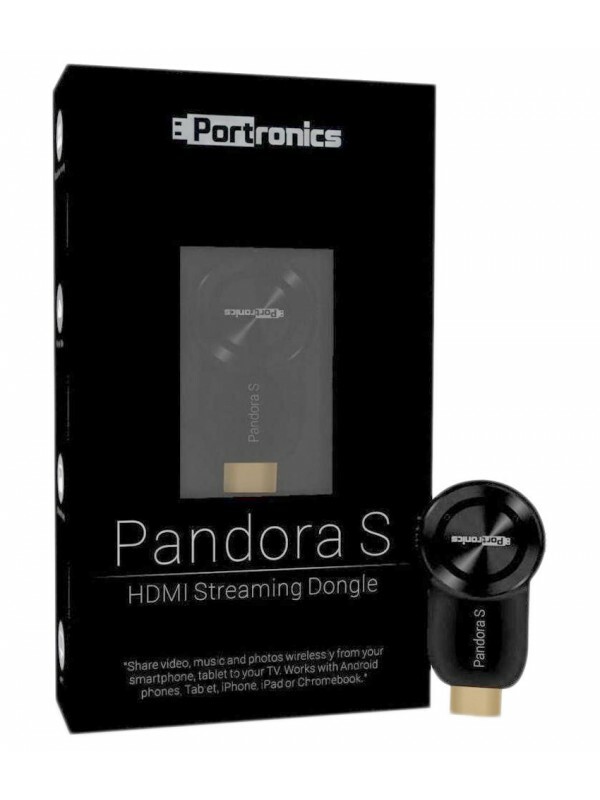 Connect the Pandora S Streaming dongle to the TV directly. Connect the Wi-Fi enabled Micro USB cable to the back of the Pandora S and connect the other USB end to the TV USB or AC adapter or Power Bank. The device is now ready to use. Pandora S is compatible as a "Plug-n-Play" with all devices including most Android Smartphones that have a screen mirroring option, iPhone and iPad, Window, Laptops and Macbook. For Android phones that do not support a screen mirroring option, Pandora S can be used by downloading any free DLNA App from the Google Play Store. Pandora S scores greatly on its form factor. In Pandora S the Wi-Fi module and the motherboard have been designed separate. This greatly enhances the heat dissipation from the dongle and lends it thermal protection. It also boosts the stability of the signal and gives you interruption free viewing. Now you can connect you iphone/Android/Laptop/Macbook to you LED TV via same device. Pandora S lets you project the existing photos and videos of your Smartphone/other device to your Television. You can also project documents like Power Point presentations, Word Documents as well as Excel sheets from your Smartphone to the television. This facility comes really handy especially during Conferences or Boardroom meeting or if you simply want to sit back and re-live your moments of joy with the entire family.